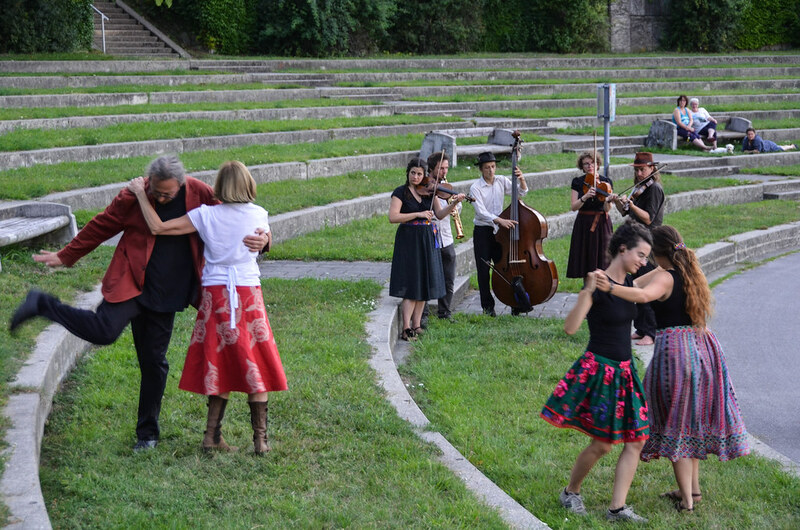 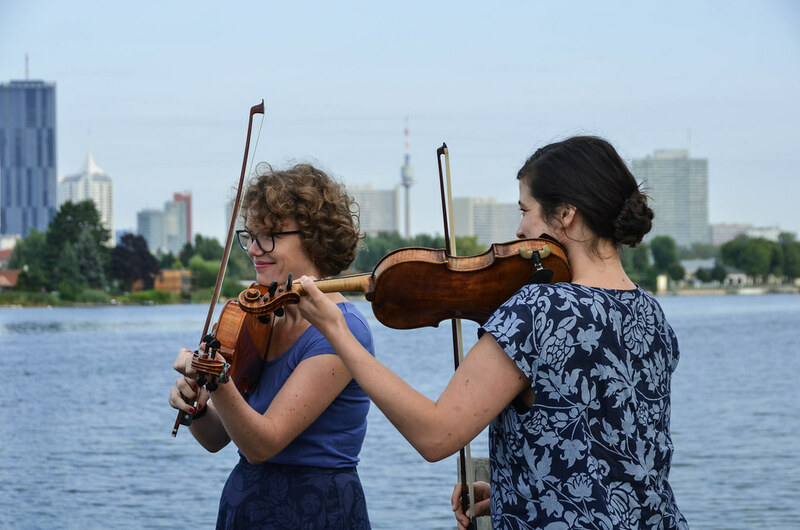 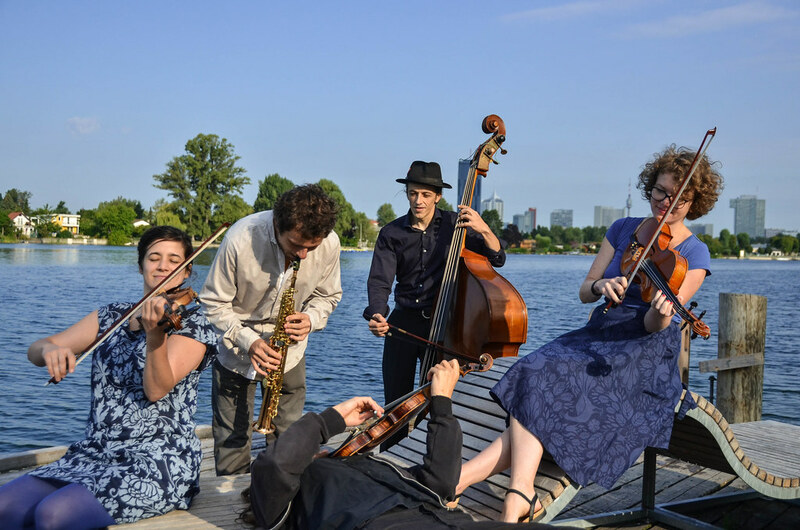 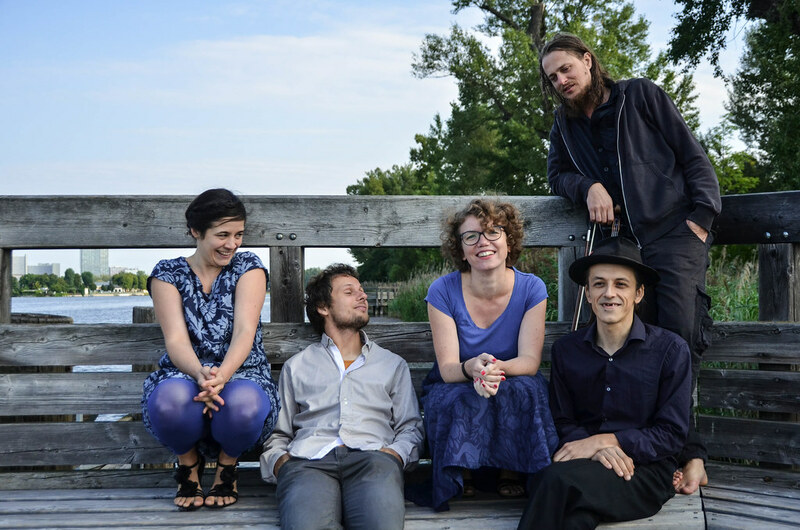 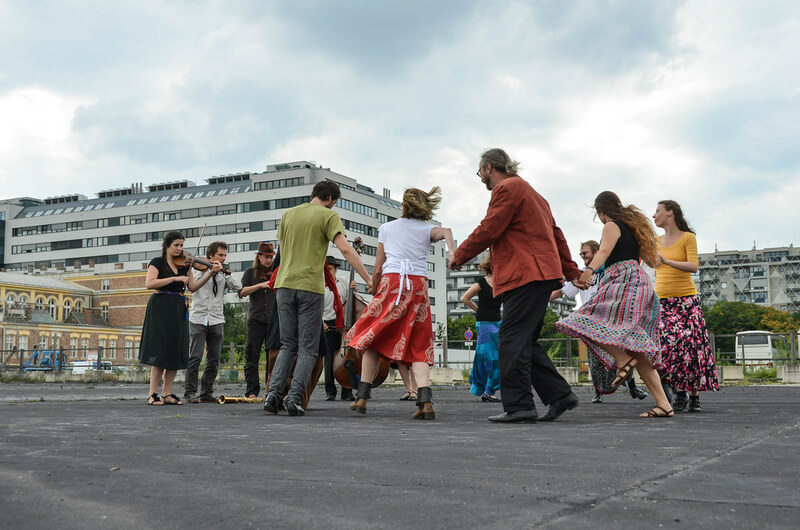 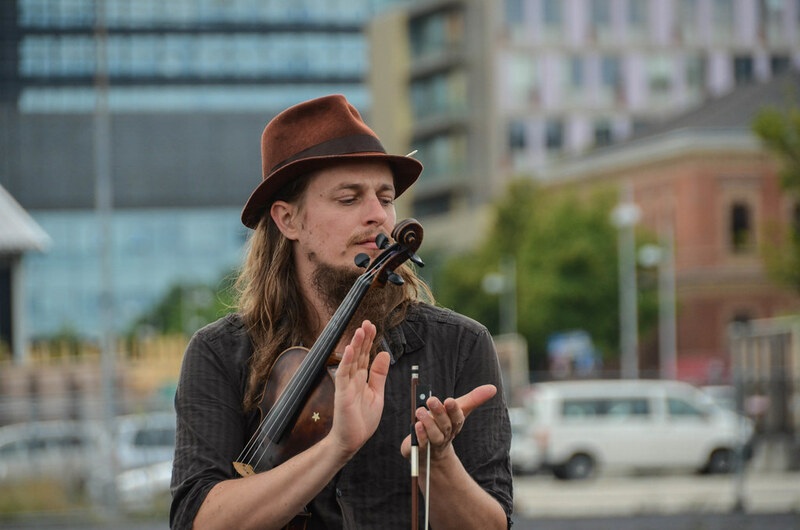 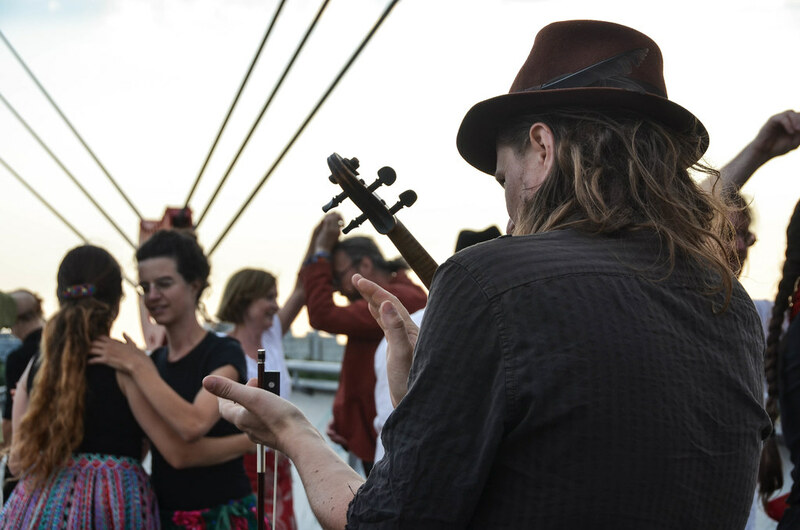 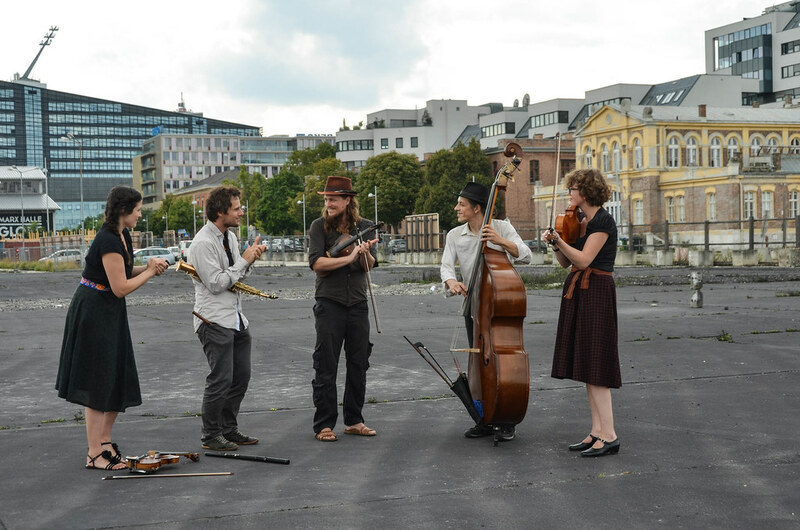 Tanzhausgeiger translates to English as dance hall violinists and strings and dancing is what the 5-piece band is truly about! 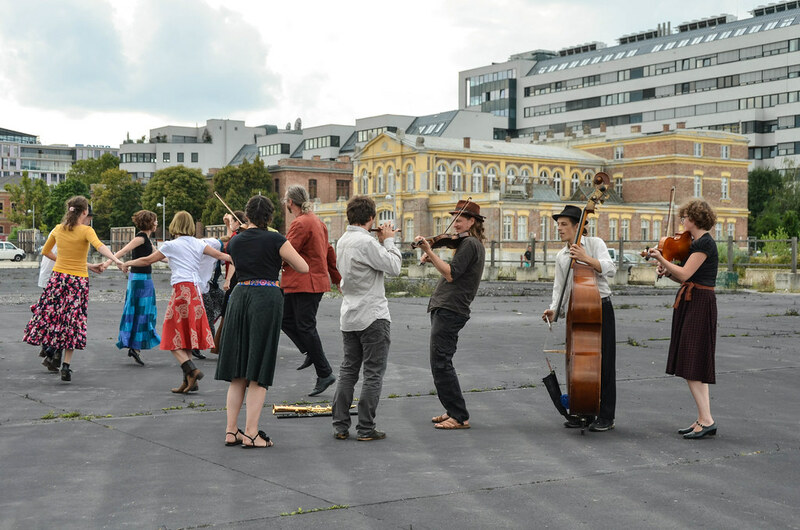 Early morning on a jetty at the Old Danube we start into a long and buoyant day of recording where Tanzhausgeiger – accompanied by a group of dancers – play their way through the city. 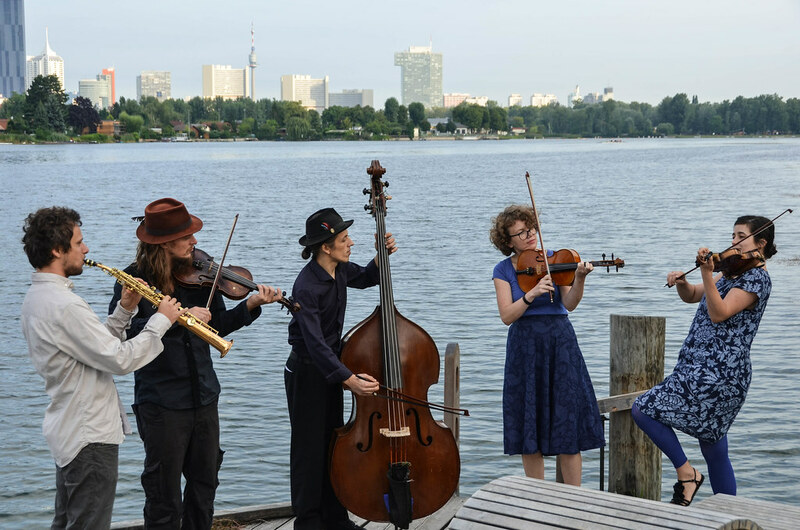 Equipped with violins, contra, double bass and a soprano saxophone they also prove to be wonderful street musicians, attracting passers-by and bringing a smile to a stranger’s face. 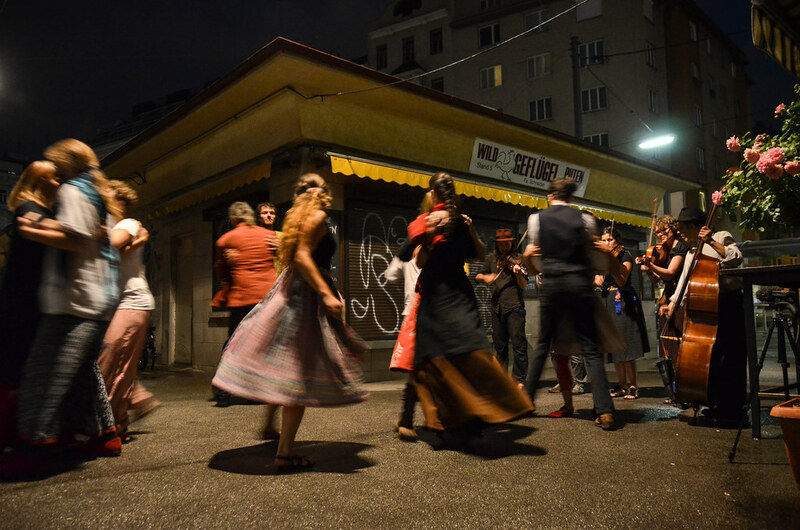 The dance-along session ends long after night has drawn in and leaves everyone involed in high spirits.